24 Reg. 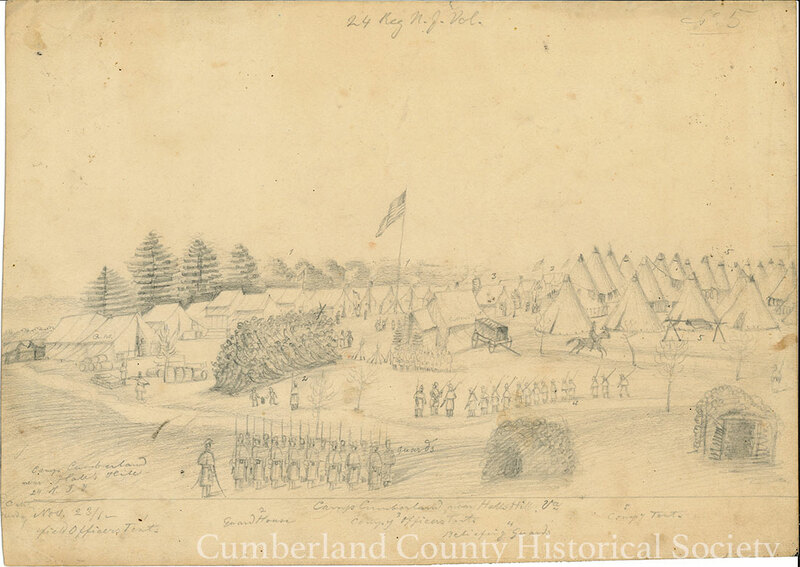 N.J. Vol Camp Cumberland Near Hall’s Hill VA 24 N.J.V. Sunday November 23, 1862 1. Field Officers Tent 2. Guard House 3. 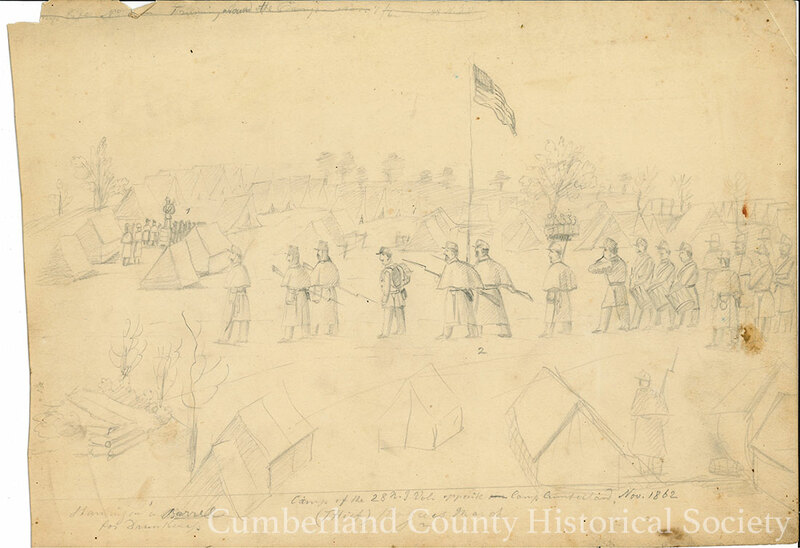 Company Officers Tents 4. 13 relieving Guards 5. 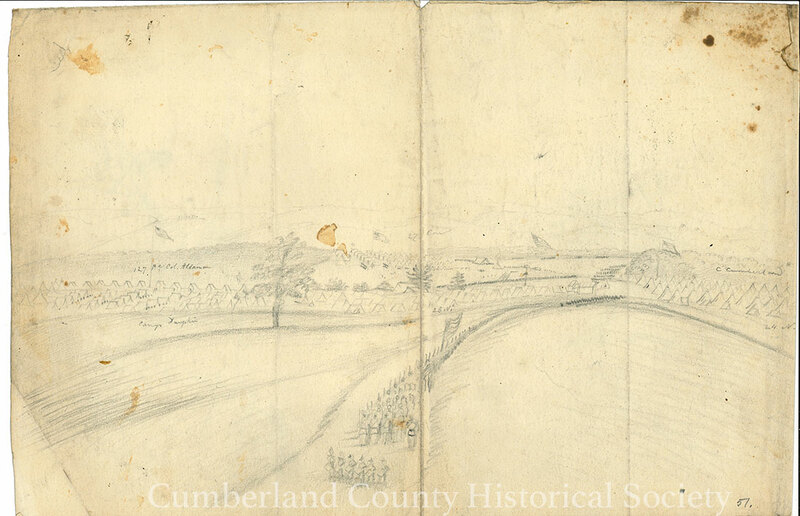 Company Tents – The front and back of the fifteenth sketch in the collection.